This is an annual competition event organised by ITE East college with 3 different categories: Obstacle Avoidance, Line Tracing, Creative Challenge. 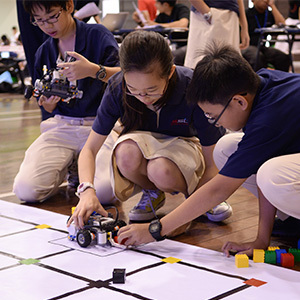 One of our schools Chua Chu Kang Secondary managed to clinch First Place in Obstacle Avoidance, and Second Place in Line Tracining. 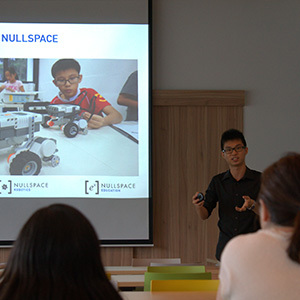 On 24 Jan and 13 Feb 2016, our Curriculum Director Soon Keong held sharing sessions at IDA Labs at Jurong Regional Library. He spoke of the various free resources available to parents to get their kids interested in programming. Read the “Resources” section to find out more! IDE Championships is a competition event organised by Nullspace and IDA Labs. 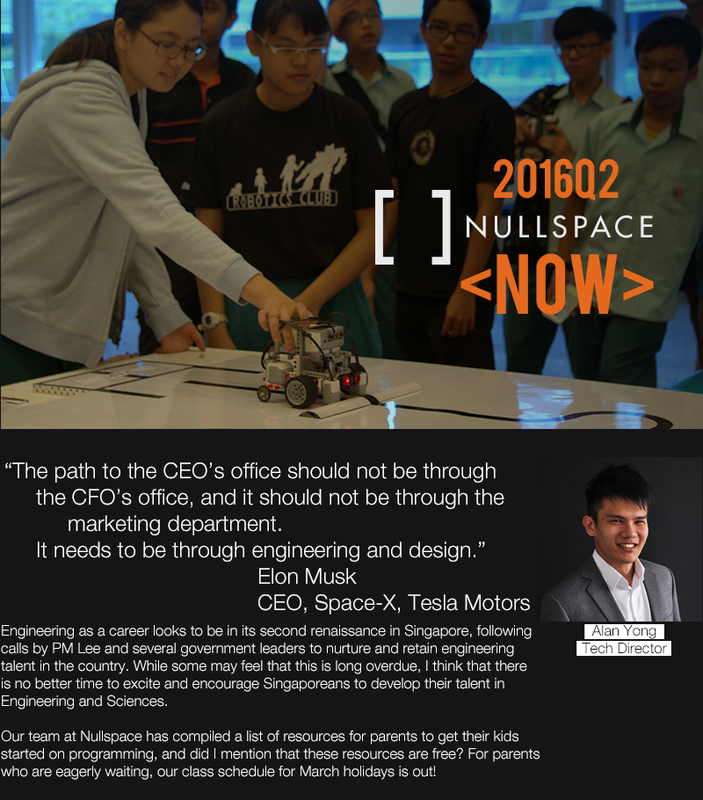 Back for the 5th year, it is one of Singapore’s toughest on the spot science and engineering challenge. 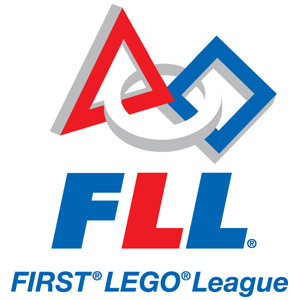 The event is made up of 3 competitions IDE Challenge, IDE LEGO Robotics, and IDE Arduino Maker. The event will take place on 17 March 2016 at Anglican High School. 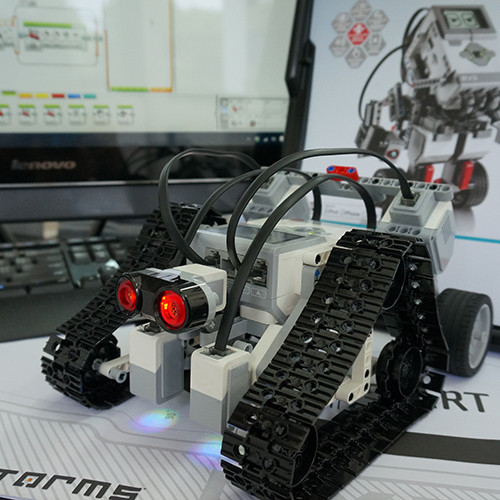 After one year, we have formalised and improved upon the CATALYST curriculum to include foundational classes in Arduino as a prerequisite. 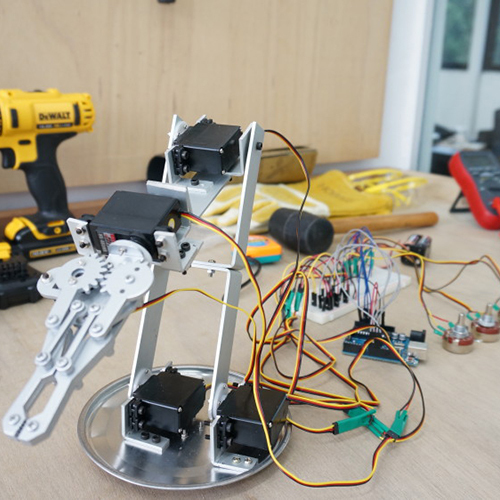 Learn about our Arduino Inventor Program, and register for March 2016 intake. Code.org is a non-profit organisation based in US which aims to make computer science easy and accesible. 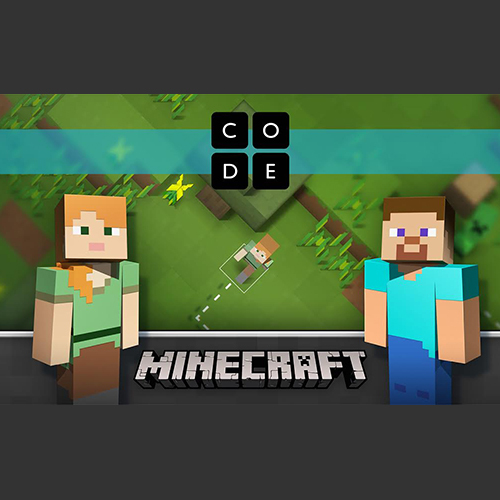 Learn to code using their engaging mini-games based off Minecraft, Frozen, and Star Wars! Coding is the new literacy! 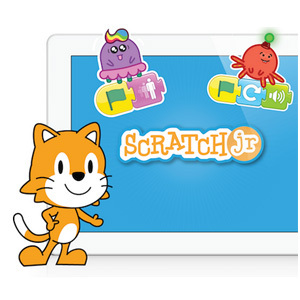 With ScratchJr, young children (ages 5-7) can program their own interactive stories and games. In the process, they learn to solve problems, design projects, and express themselves creatively on the computer. Available as a free app on iPad and Android tablets. 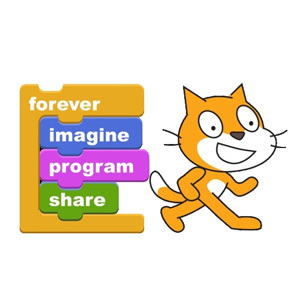 With Scratch, you can program your own interactive stories, games, and animations — and share your creations with others in the online community. Scratch is a project of the Lifelong Kindergarten Group at the MIT Media Lab. It is provided free of charge. 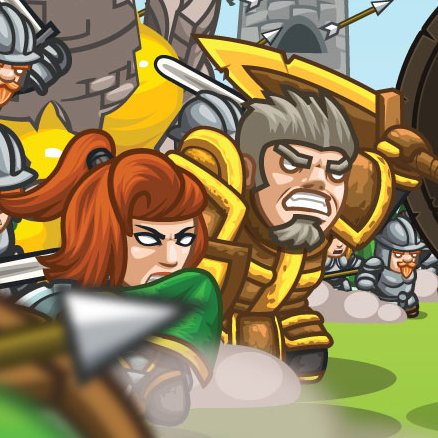 CodeCombat is a platform for students to learn computer science while playing through a real game. The courses have been playtested in a classroom setting and have been implemented in schools. Try it out today! 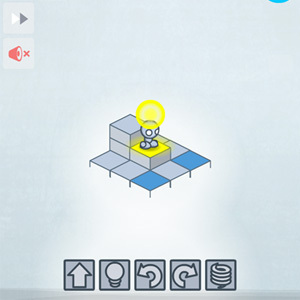 Created as a simple, interactive game for kids, LightBot aims to introduce programming concepts without the need for typing and coding. Available for download on phone and tablet for a small fee. Celebrating Our Nation’s 52nd Birthday!